Supermodel International is an international modeling contest, established by Pradit Pradinunt in the year 2010. It is a leading international pageant that promotes cultural union by integrating, female beauty, talents and cultural communication. Supermodel International radiates the essence of the international cultural and fashion trends. Supermodel International, with headquarters in Bangkok, Thailand, holds their local national competitions for Supermodel International Contest every year with 50 executive members from all around the world cooperating with the Supermodel International Organization. Supermodel International belongs to all girls in the world. Its existence and development contributes to the society, and drives the civilization process of human beings. “Expanding international cultural and fashion development, and meeting worldwide demands, based on the beauty resources across the world.” is the defined theme of Supermodel International Contest. Since Supermodel International began in 2011, the competition has presented the beauty and talents of some of the most spectacular ladies of the world to a worldwide audience. What started out as “Supermodel of Asia Pacific”, the competition was re-branded as “Supermodel International” due to its increasing popularity. The very first winner of Supermodel International in 2011, Bunga Jelitha from Indonesia, is now a well known model in Indonesia and abroad. In 2012, Reabetswe Sechoaro from South Africa became the first model of color to win the prestigious title. Right after her win, Reabetswe became an instant sensation in her native South Africa. For the past three years, the Supermodel International pageant is recognized as one of the much awaited competitions in the modeling industry. 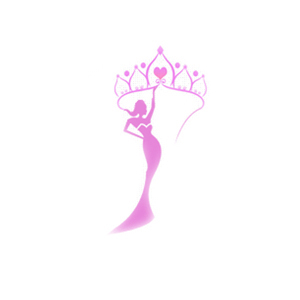 As a matter of fact, many attractive women of various nationalities aspire to play a part in the competition as they really believe that the pageant could help them a lot through enhancing their modeling skills.